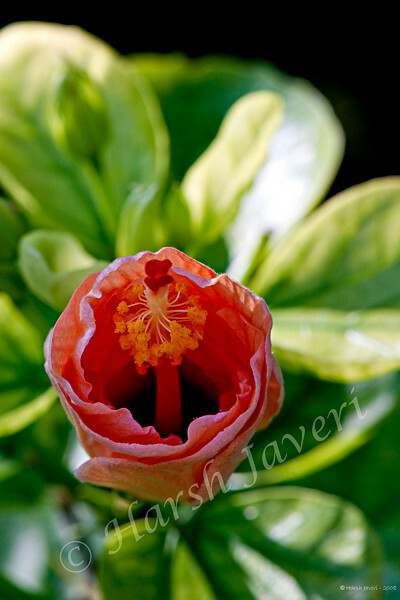 Shot this Hibiscus at cousin's garden in December 2008 but processed recently. Gorgeous composition. well done ! Unique view of a hibiscus...lovely! Great crop and detail. Pretty.